Hi. I'm Michele Martin. Welcome to my blog. Hi, I'm Michele Martin. I'm a certified Career Development Facilitator Instructor with over 15 years experience in helping people figure out what they want to be when they grow up. We live in a rapidly changing world that requires all of us to be life-long learners, so I also do a lot of work around professional development and helping professionals create great careers for themselves, while building on their strengths. 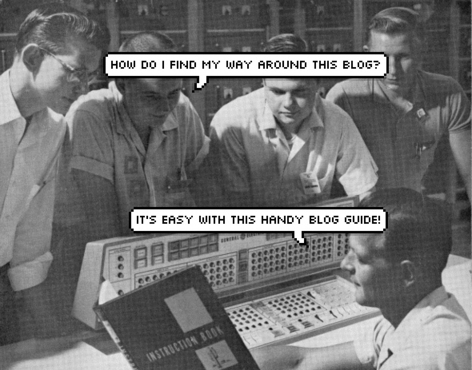 If you're new to blogs, you may be wondering what exactly a blog IS. In its simplest form, a blog is an online journal with posts that are listed in chronological order, with the most recent posts (articles) first. There are a number of ways you can move through a blog. You can simply read through the articles in chronological order, starting at the first post and working backwards. If you're looking for posts on particular topics, you'll see in the right side of the screen (called the "sidebar") that I've installed a Google Customized search. Just type in the topic you're looking for in the box under "Search this Site" and Google will do the rest. You can also browse a few of the topics I write on or read one of my "Best of Bamboo" articles. Sometimes it's hard to remember to return to a blog to read what's new. That's why they invented "RSS--Really Simple Syndication" This lets you sign up to be notified when I write new posts. You can learn more about RSS and how to sign up by going here. If you're confused or need some help, feel free to email me. Scroll to the bottom of the post you want to comment on and click on the link to "comments." Scroll to the bottom where it says "Post a comment." Enter your name and email address. If you have a blog or website, you can share that, too. Write your comment in the box and then click on either "preview" (if you want to see your comment before it's posted) or on "Post" if you want to post right away. Once you click on "Post," you'll be asked to enter a string of text and numbers that appears on the screen. This is simply to make sure that a real human is commenting, rather than a robot. Enter the text and then click on "Submit." Your comment should appear immediately. If your comment does not appear right away, something happened in the commenting process. You can either re-enter your comment or send me an email to let me know what happened and we can take it from there. Blogging is really a two-way conversation. It works like this. I get an idea or feel a need to rant so I post here. You read it. Then you either write a comment or you drop me an email. I try to respond to everything I get. We end up having a nice chat. Or not. It's up to you. Here's the other thing. I assume that we're all grown-ups here, so any comments people leave should be reasonably civil and productive. I reserve the right to moderate or remove comments if there's a problem, although I'm pleased to say that there's never been an issue. Except with spam comments, which I try to avoid by using captcha, but I'm sad to say isn't always completely effective. I do my best, though. In the right sidebar of my blog, you'll see that I have a "Best of Bamboo" section. These are my "greatest hits"--the posts that got the most comments or that have been bookmarked by the most people. If you're wondering, the all-time biggest seller here has been My Personal Learning Environment. It's probably as good a place as any to start in getting to know me. Also feel free to check out my bio and my online portfolio. This blog thing really is about conversation. Whether you like what you see here or not, I'd love to hear from you. Drop me a line. Introduce yourself. Share your problems or questions. Ask me for money. No, forget that last part. Anyway, you get the idea. Write me. Seriously. I never hear from you anymore. . .